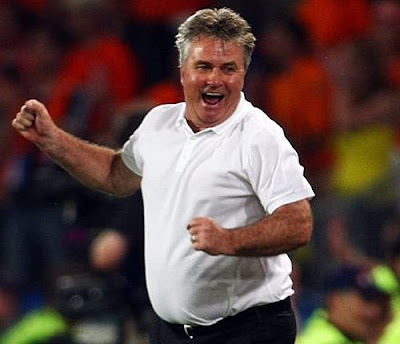 That's Dutch coach Guus Hiddink on the Russian side celebrating his teams' win. Happy Clam! All I know is that I'm still a EK-widow until sunday next....LOL!